Justin is a graduate of Missouri Southern State University, with a Bachelor of Science in Business Administration. His major was in Business administration and marketing. After graduation he began working at Mid-America Hardwoods as the lumber inventory manager and yard supervisor, and then advanced to assistant marketing manager. He also worked as a licensed insurance agent in 2008. In December of 2010 Justin accepted the position as Financial Aid Director at City Pointe Beauty Academy. 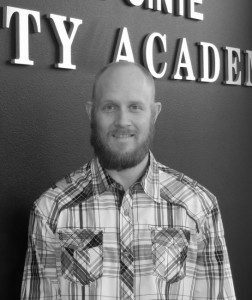 Justin’s experience in supervision and management serves him well when working with the students at the Academy. He works diligently to find the best payment options that fits each individual student.